Brutally honest and original...A complete delight! playwright, An American in Paris. Superb plays in their exploration of subject matter, muscular dialogue, and startling stage action. The women – and the men – you’ll meet in the following pages are in the worst kind of trouble. Caught between what they want and what they have, trapped between the past and the present, all they can do is speak. 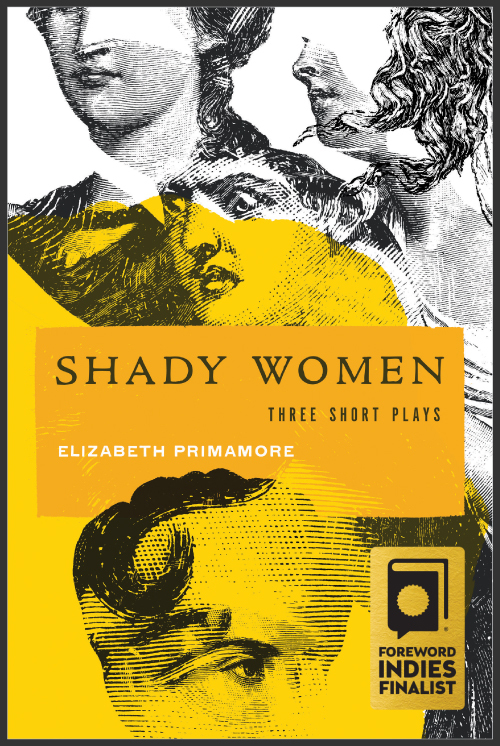 Whether it's dealing with the bitter tug of war that's child custody, the slippery love of an Older and Younger woman or the rambling misdirection of a College Professor charged with murder , Elizabeth Primamore is able to share the humanity of her characters and her own heart. playwright, Freud’s Last Session, Dramatists Play Service, 2009.